Air conditioner installation .. All work guaranteed..
Licenced Electrician, air conditioner installer , Gasfitter and Plumber. Fixed price air conditioner (Heater / cooler ) supply and install based on standard back to back installations. 5 year warranty on product. 10 year warranty on workmanship . 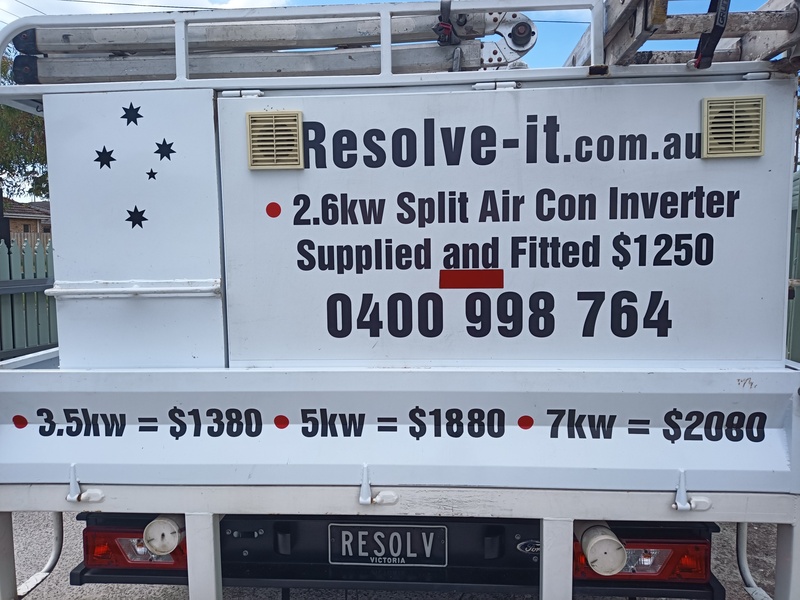 ... ****** ***** ******r**** Or************************* if you bought an aircon, we can standard install for... Up to 5kw ( 10amps Max) installation is $600************** Or ************************ Over 5kw ( above 10amps) installation is $700. 10 year written workmanship warranty. Address: Most areas covered.. Contact us for details..